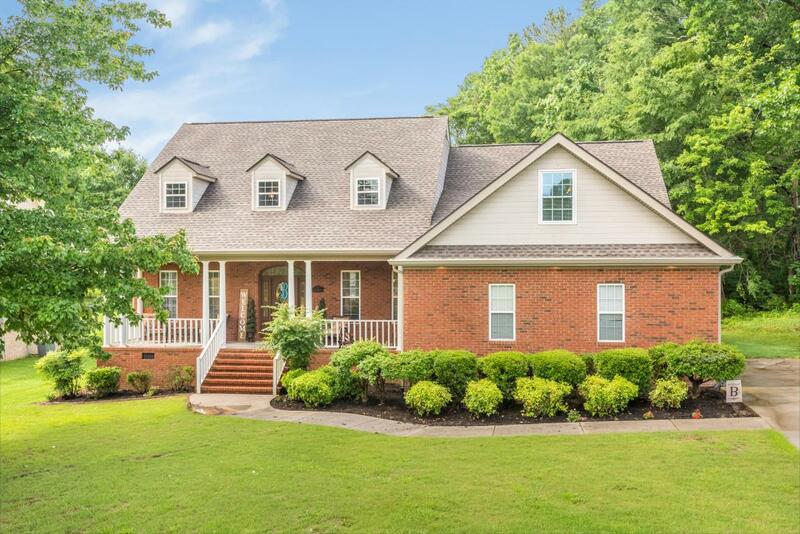 This amazing home is located in Tunnel Hill Ga just minutes from great schools and Interstate 75. 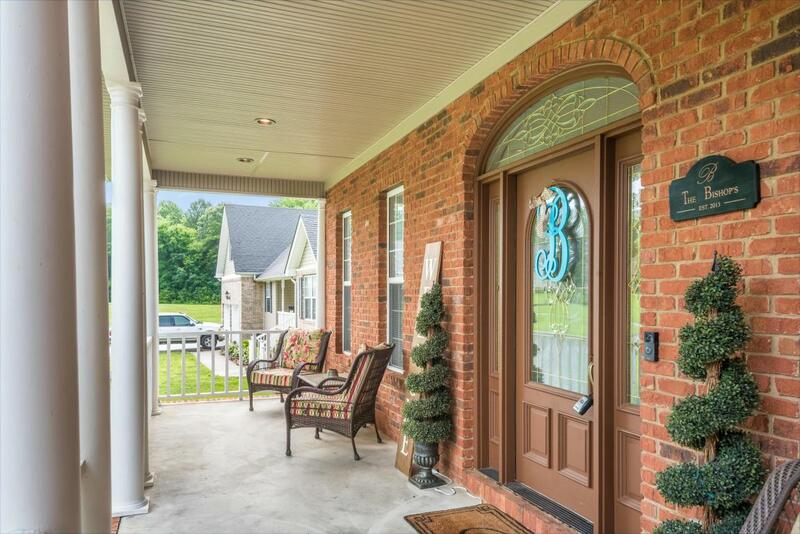 You will love this quiet neighborhood in The Homeplace Subdivision. This home has had many high quality upgrades. The roof is brand new along with oversized gutters and gutter protection. You will love the back porch that overlooks the back yard. 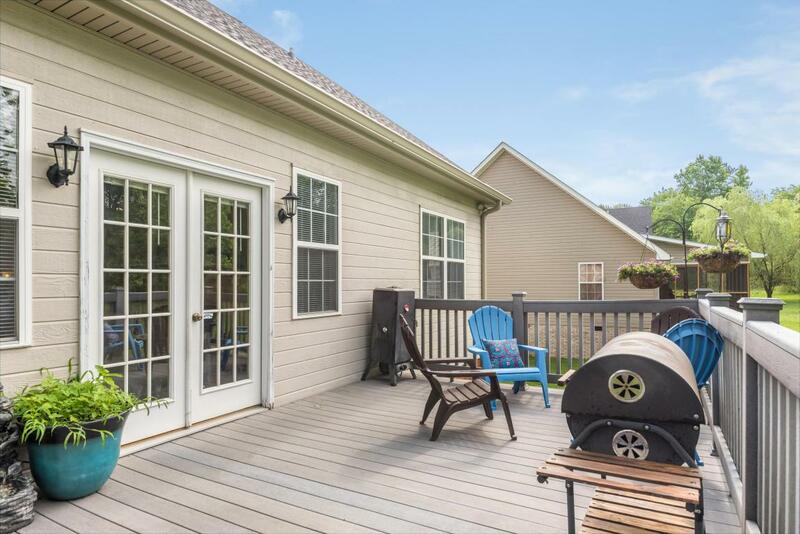 The porch is perfect for grilling out and enjoying the tranquility of the great outdoors. 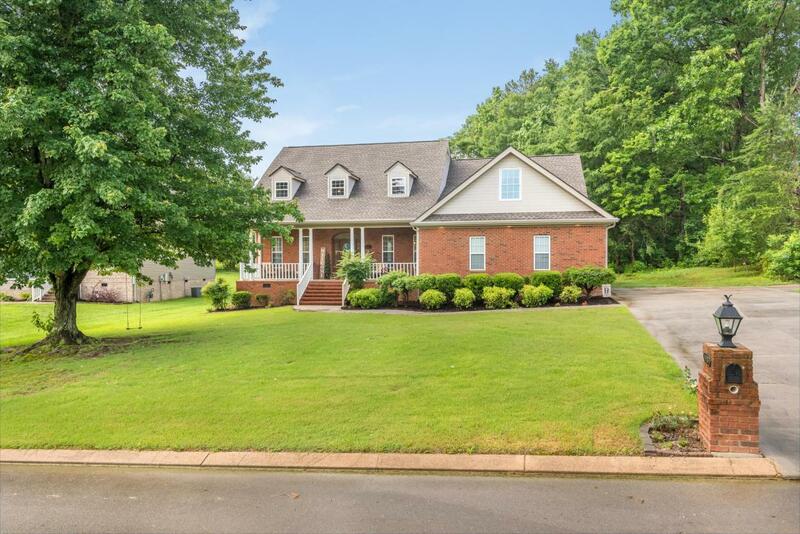 This 4 bedroom and 3.5 bath home has many outstanding features. When you walk into your new home from the covered porch you will immediately appreciate the amount of custom work that has been completed. Hardwood flooring flows throughout the downstairs living space. There is an abundance ofcrown molding and vaulted ceilings. The interior has new paint and custom lighting has been installed in nearly every room. You will love the large separate dining room that is large enough for that large dining room table you have always wanted. The kitchen has been completed updated with recessed lighting, new granite counter tops, backsplash, and high end Frigidaire Gallery appliances. The kitchen also has a lovely breakfast nook. The living room has tall vaulted ceilings and a gas fireplace. The living room also has plenty of storage with custom bookshelves and cabinetry. The master bedroom is on the main floor separate from all the other bedrooms offering a great deal of privacy. The double vanity in the master bathroom is super convenient along with additional storage. The walk in closet has plenty of room for all of your necessities. The soaking tub in the master bathroom is separate from the shower. There is two additional guest bedrooms on the main floor which have been tastefully decorated. You will love the large tiled laundry room with plenty of cabinet space. The upstairs is large enough to be a completely separate living room if needed. The upstairs has an additional bedroom that has no problem holding another king size bedroom. An additional full sized bathroom is also in the upstairs living room. You will love the kitchenette in the upstairs. It is located in a room that could easily be considered the kitchen and dining room. Their is a fridge, surface cook top, microwave, toaster, and sink. The upstairs also holds a large bonus room that could be a media room or game room. A large office is also upstairs in this living space. Words alone cannot describe the beauty of this home. Schedule your appointment today before this one is sold!! !